On the left of the entrance into McIlroy Park is the potteries housing estate. This area was mostly common land until the 1970s when the housing estate was built. Prior to that for many years the land was the centre of a prosperous clay extraction enterprise. However by the 1960s it had become uncompetitive and closed. Much of this area is pockmarked by hollows where the clay was extracted. There were various kilns and brick works in the area. One of the biggest was on the other side of Norcot Road. The clay was carried across Norcot Road in buckets on overhead cables. The path that leads up into the park is the drove which is an ancient track used by herdsmen when transporting livestock to market and to new pastures. 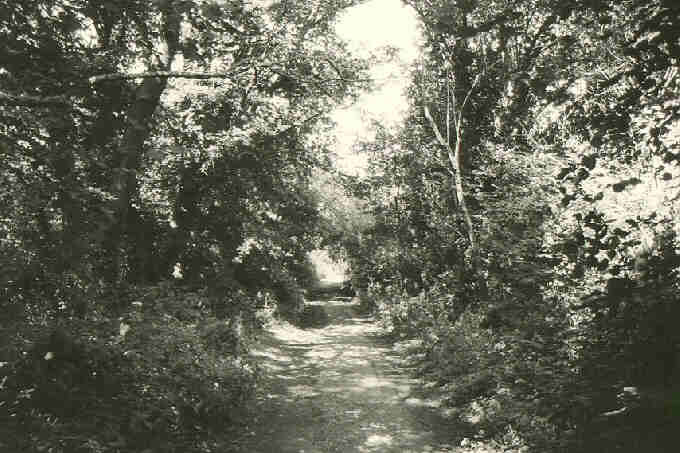 Romany Lane is a path which runs up the east side of the park. The lower end of the path is now a regular road used by cars. At the end of Thirlmere Avenue the path reverts to a foot path. There are steps leading up to the lower edge of the park. This area of meadow is often referred to as Beecham Hill. Romany Lane continues up the side of the park and meets Gypsy Lane. A Saxon Mound can be found running along the edge of Weald Rise. If you leave the park by the central exit on the lower edge of the park and continue to walk down towards Oxford Road you will easily see the mound. On the older maps it is shown as running right down to the River Thames. That part which was between the Oxford Road and the River seems to have been destroyed. It is not easily obvious why the mount was built. Smaller mounds are usually burial grounds; this is too long so could have been used for drainage or for defensive purposes. Over many years, including importantly the years of the civil war, to command access across the River Thames was considered of major strategic value. Although there is no known crossing immediately in the vicinity, it is possible that the mound was used for defending access into the area that is now Reading. Beecham Hill is the meadow that sits along the top of the park and runs down to the lower edge of the park. Quite rightly, there are a number of seats placed towards the top of the hill. This is a wonderful, peaceful place for sitting and contemplating. The views from Beecham Hill. are magnificent. William McIlroy, the benefactor, was a shop owner in the town of Reading. He originally bought the park so that he could look out of his office above the shop and gaze upon the woodlands and meadowland. This farseeing gentleman wanted to preserve the open space. He was kind enough to bequeath the space to the people of Reading and the park has by and large been preserved. The benefit for visitors to the park is that they can view the panorama across Reading. You can catch glimpses of the Thames through the trees, the warehouses by Scours Lane, over to the Apex Plaza. 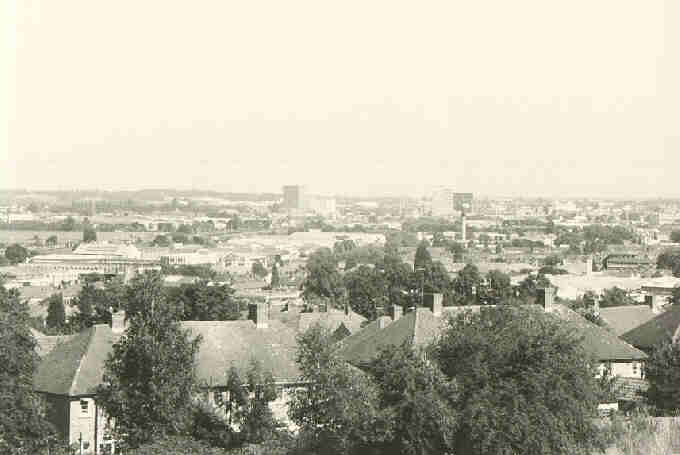 The chimneys of Battle and the Royal Berks Hospitals are clearly visible as are the spires of St Michaels and St Giles Churches. In particular the view across Reading at night is very striking. The view also encompasses terrific views of the Mapledurham Hills. It is sometimes difficult to imagine that you are still within an urban environment. Behind Beecham Hill is a wooded path. 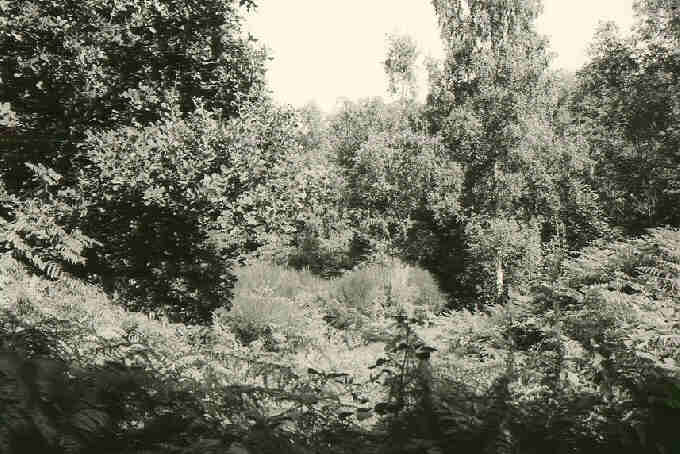 The wooded area is known as Kentwood Grove. 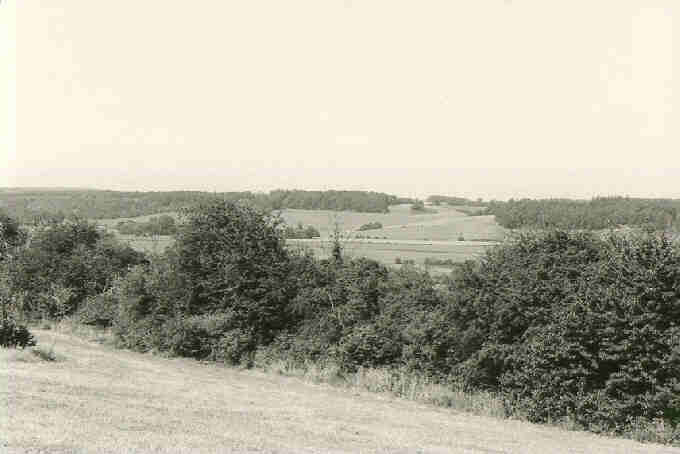 The grove lies along the edge of the common from which clay was excavated. It has large numbers of beeches, and in spring the woodland at the Rodway Road end of the park is prettily carpeted with bluebells. Later in the year there are silver birches and bracken. 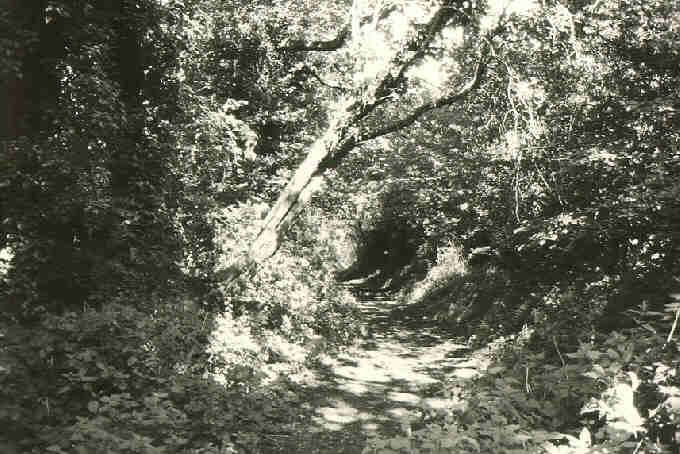 Gypsy Lane is the continuation of Romany Lane. It runs right along to Kentwood Hill. This ancient way shows considerable erosion. Volunteer work has been carried out to limit further damage to the banks. Gypsy Lane and Romany Lane derive their names from the fact that travellers would frequently arrive in the area looking for seasonal work. On the both sides of Gypsy Lane there were brick kilns. However on the left side of the lane was the huge Kew Kiln Brick Works. Together with the potteries, they provided a great source of local casual employment. The older maps show numerous kilns, in particular the 1879 Ordnance Survey map (held in Reading Central Library). In order to make is easier to locate the kilns they are shown on the accompanying map. At the end of Gypsy Lane, on Kentwood Hill is Kentwood Farm [see note 1]. Although not a farm now the cluster of buildings and barns is still there. The main farm building has the inscription ED 1723! It probably has something to do with the local accent.